The dawn of a new year tends to inspire reflection. 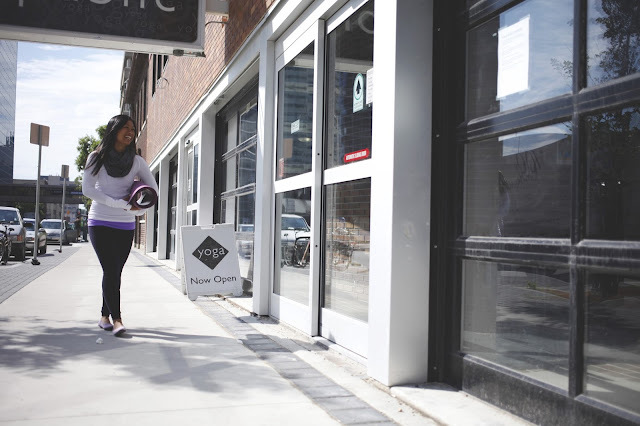 For us, 2013 was the year we took our pipe-dream of a prairie focused yoga community and brought it to life through storytelling and experience, diversifying into merchandise, and corporate wellness too. To all of you who are a part of this community we have created... Thank you for allowing us to create our dream jobs. Relive some of our favourite moments from the past year - the stories, and experiences that we have had the privilege to share with the community. 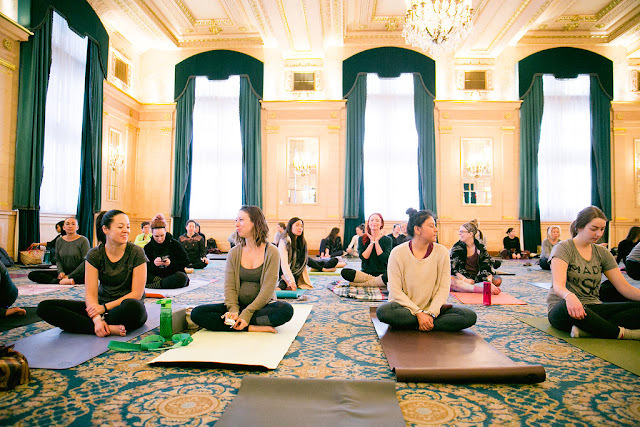 For our founders big 3-0 we went all out with a luxurious, feel-good getaway at the Fort Garry Hotel's Yoga + Spa weekend. PY teamed up with Abandon Shore Paddleboarding and Be Shri for our first event in June. Over 30 prairie yogis (traveling from as far as Dauphin, MB) got to experience yoga, standup paddle boarding, and a day of bliss at Patricia Beach. We collaborated with Savannah Joy Yoga to bring yoga and music together in a places it's never been before. DJ Mama Cutsworth spun while Sam Manchulenko and Nicki Trosky led over 60 yogis through a blissful practice at the Graffiti Art Gallery. 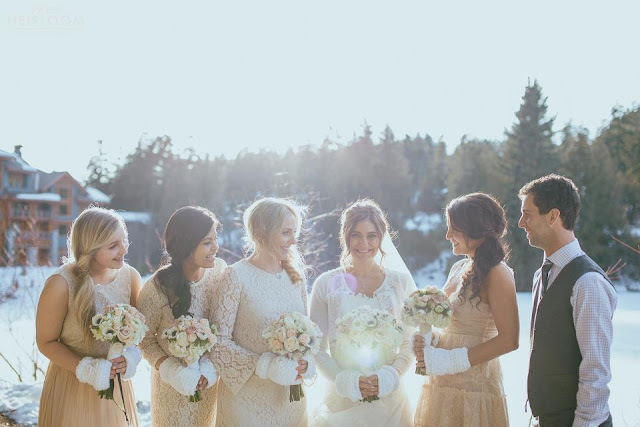 Traveling to Whistler to witness one of our favourite Prairie Yogis, Phalyn Powell, tie the knot was incredibly special. Practicing yoga with Phalyn and her wedding party at the Four Seasons Hotel in Whistler the morning of her wedding, was a stellar, unforgettable treat. It seemed 2013 was the year of 30 day challenges for many (you may have even kicked you year off with one!) and this inspiring prairie yogi took it up a notch (or three!) 2013 was Jeramie's year to sweat every day - for 365 straight days. We were honoured to share her story - which in turn inspired others to begin their own 365 day challenge! The first was so blissful, we couldn't help but do it again. 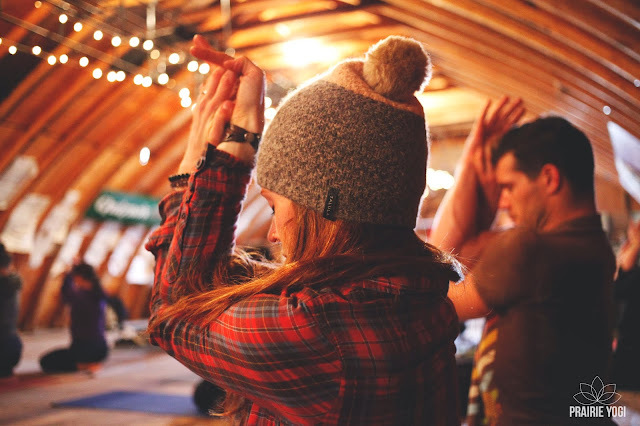 We brought the beats to Historic Fort Gibraltar for two very different, back to back, yoga + music classes, hosting over 120 yogis on a blizzardy November night. We are big fans of Kal Barteski's - ever since we saw her speak at TedX Manitoba in April (another wonderful experience in 2013) and sent out an intention to the universe to one day work with her on some Prairie Yogi tanks.... Four days later, she serendipitously sent us a direct message via Twitter introducing herself and offering her script art services for the Prairie Yogi community! We felt incredible blessed that Hannah Rose chose to share her brave story on her battle with anorexia athletica with us. 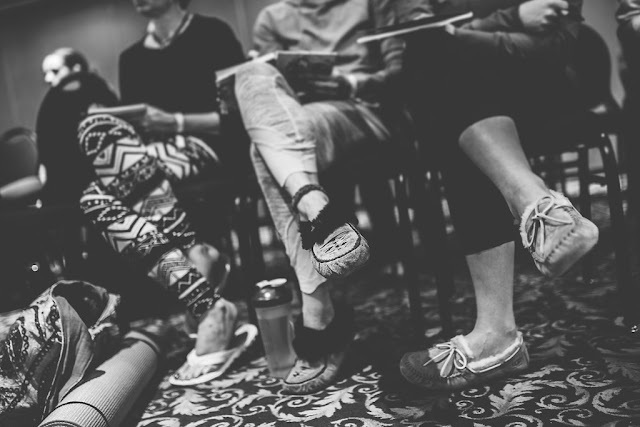 Her brutally honest depiction of the way that many women struggle with body image and disordered eating was by far the most powerful story on Prairie Yogi this year. 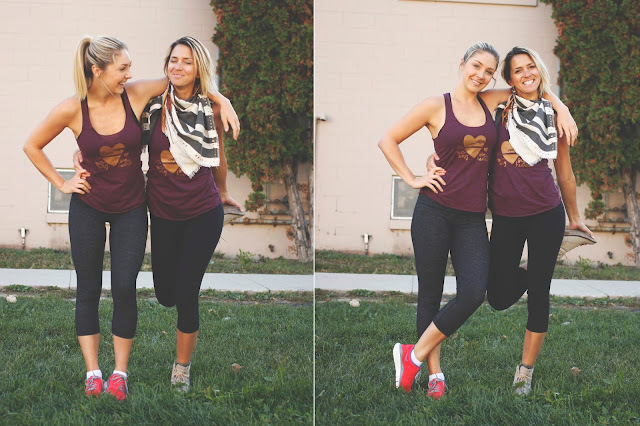 It was like a scene from Almost Famous (for the modern day yoga girl) when Wanderlust contacted us to be a part of their Wanderlust Journal Blog team. We traveled great lengths to get to Copper Mountain, Colorado to experience this epic yoga and music festival. As part of the experience, we got to sit down and chat with Shiva Rea, Seane Corn, Eoin Finn, and Moby! We'd love to hear from you - what were your favourite experiences and stories from this past year?